…beautiful days of a memorable Swiss summer. Those days were filled with dreams, energy, fun, excitement, curiosity and relatively little money in pockets. As a student, traveling for the first first time out of India, every single thing about Switzerland was exciting. In India, Switzerland is synonym for Bollywood, Honeymoon and black money heaven! I was not surprised when someone asked me last year “Who goes to Switzerland for an internship? Isn’t it a place to go on vacation and honeymoon?”…It is indeed one of the most beautiful and scenic places on earth. In India, word Switzerland hardly brings an image of a western economically developed country in mind and place of technology or research. First pic was clicked at a relatively less known place in Switzerland called Lägern. …a hike starting from Ehrendingen village, crossing fields, farms and then deep woods to a mountain top and a castle was one of the best close to nature experiences that I ever had in Switzerland. 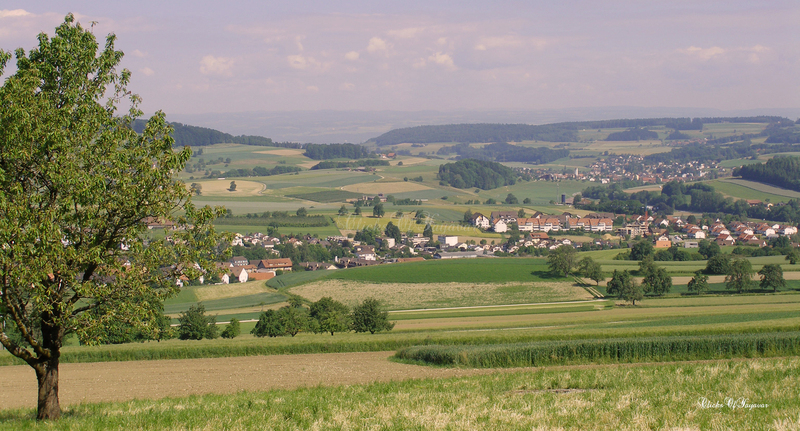 It is not just in Switzerland but for any place or country that, best places to see and experience are not the most famous and crowded tourist places but the villages and country side. Second pic was clicked at a completely different kind of place, at one of the mountain stations of the historic narrow-gauge train that goes to most famous tourist mountain spot in Switzerland – Jungfraujoch . 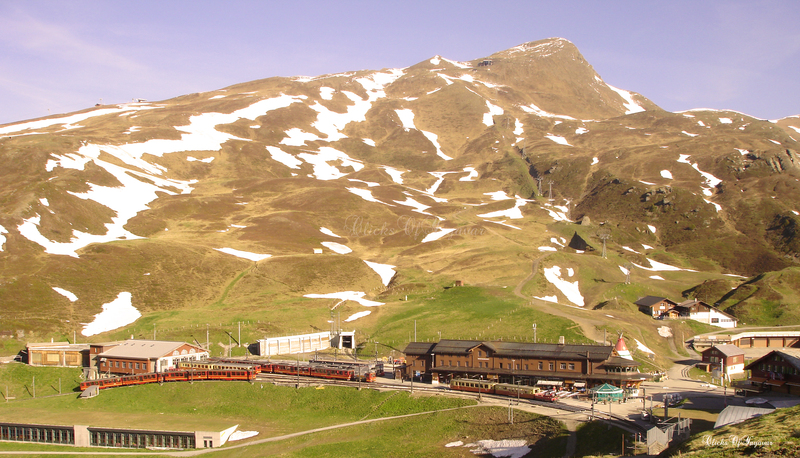 This train crosses tunnels, highly elevated tracks to reach the glaciers and spectacular views on the way. in mind? along with beauty of nature, wonder, engineering marvel… for each enthralling frame you also keep remembering the name of Bollywood flicks (read it as songs) with those frames. Thank you and See you soon again ! 19 Jan	This entry was published on January 19, 2014 at 9:16 PM. It’s filed under Switzerland and tagged Bollywood, close to nature, Ehrendingen, Jungfraujoch, Lägern, Photography. Bookmark the permalink. Follow any comments here with the RSS feed for this post.